Late Shri Appasaheb Dharkar on 9th July 2018. The program started with lightening of the lamp and Saraswati Pujan by the hands of guest of honor Mr. Z. 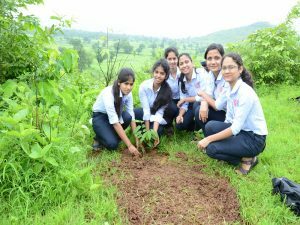 A. Dabhiya (Treasurer), Mr. Pradeepchandra Shringarpure (C.E. O. 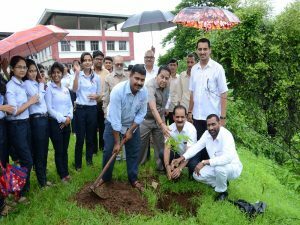 & Secretary), Mr. Vijay Mande (LMC member), Mr Sharad Lad (Ex President NMRDA & KMC), Satish Pimpre ( CDC Member) Dr. M. K. Kale, Principal, Dr. Prabhakar Shirodkar Research Director , faculty members, supporting staff and students were present on the occasion and actively participated in tree plantation program. 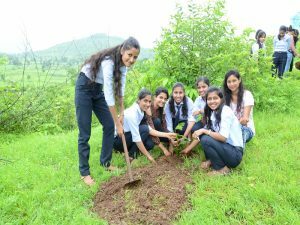 ← SEMINAR ON “GIRLS PERSONAL HYGIENE AND SAFETY” AT KGRDCP & RI, KARJAT.